Our on-site laboratory allows us to perform diagnostic lab testing to help us determine the best treatment plan for your pet's medical condition. 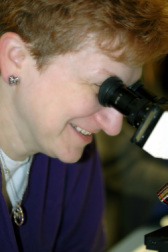 Laboratory analysis includes blood samples, urine samples, cytologies, parasite examinations for immediate results and we maintain a close relationship with an outside diagnostic laboratory service for their assistance to evaluate some of the samples that we collect which need a more comprehensive evaluation. We are capable of doing most of our diagnostic testing right here at the clinic. We process our own cytologies, fungal cultures, complete blood counts and fecals. We can have your pets complete health profile in 15 – 20 min, which can be life-saving during emergencies. Other tests are available within 24 hours.